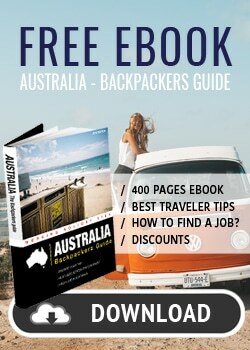 For travelers who want to explore Australia independently, a motorhome is the ideal vehicle. 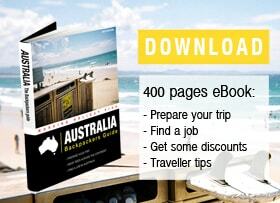 As they are equipped with a shower and toilet, you don’t need to go to any caravan parks. 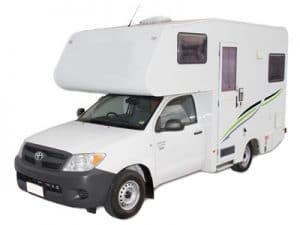 We give you an overview of various motorhome models available on the Australian market. 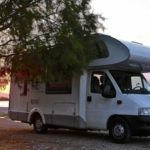 There are quite a few different motorhome models for 2 people. They all have pretty much the same size, the main difference is just the age of the vehicle. In terms of brands, you often find Volkswagen or Mercedes. 2-seaters are a good compromise. They are easy to drive, consume little petrol, and make parking in cities easy. – 2 entrances, one sliding door on the left side of the vehicle, one door in the back. – Storage spaces under the kitchen work bench, under the rear benches, and above the convertible bench-bed. There is another model with a built-in “pickup” truck. In this motorhome, you can’t access the rear of the vehicle from the driver’s cabin. The double bed is installed at the front above the driver’s cabin. At the back, there is a nice living area with a small kitchenette and a table with a bench. 3-seater motorhomes are quite rare in Australia (at least for rental). They are often similar to 2-seaters, except that they have a third seat and an extra bed. There is therefore not much living space. These vehicles are usually designed to accommodate 2 adults and one child, as the single bed is small. The interior is similar to 2-seater motorhomes. The main difference is that a third seat is installed behind the driver’s seat. This seat turns into a bed. Due to their size and layout, 4-seater motorhomes offer a large living area. They are suitable for any group, family, friends, or couples. They are equipped with 2 double beds, usually one at the end of the camper and the other one at the front above the driver’s cabin. Young children best take the lower bed, as the upper bed does not always have a safety net/barrier. – An entry via a sliding door on the left side of the vehicle. – In the front, a dining table with bench, which converts into a double bed. – Storage spaces are located under the kitchen work bench also above the bench / bed. This type of vehicle is ideal for families with children. But for 4 adults, we rather recommend the 6-seater model, which is often not much more expensive. In a 6-seater, you can leave 2 beds made and still have the bench with the dining table. 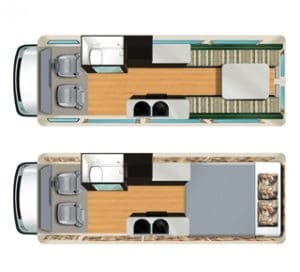 5-seater motorhomes offer 5 seats and 2 large double beds. They have 3 seats at the front and 2 seats at the very back of the vehicle. It is therefore suitable for families with 3 children if 2 of them are small. However, the young ones would have to sit away from you. 5-seater motorhomes are very rare. To our knowledge, only one supplier offers this type of model. And although it can accommodate 5 people, they have only 2 large beds! This is rather suitable for a family with 3 young children. Overall, 6-seater motorhomes are very similar to 4-seater models, except that they are longer and a little wider to fit an extra bed. The interior is almost the same, except that the bench in the middle of the vehicle converts into a bed. Personally, we find this type of model a bit too small for 6 adults, but it is very good for families. The 6-seater model has an extra double bed at the rear of the vehicle, which is converted into a bench during the day. Otherwise the equipment and fittings are the same as in the 4-seater model. 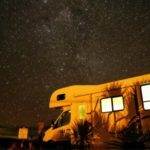 6-seater motorhomes are the largest models available for rent. 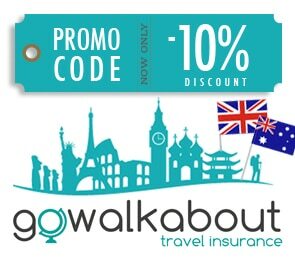 So if you are looking for a great vehicle to travel with your family or friends, a 6-seater is the best option. Sometimes they cost the same as the 4-seater vehicle, so don’t deprive yourself of a larger living space! 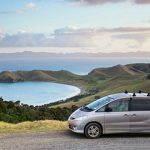 When travelling with children, you need to find the most suitable motorhome for the trip to run smoothly. The most important criteria is obviously how many children you are travelling with and how old or rather how big they are. 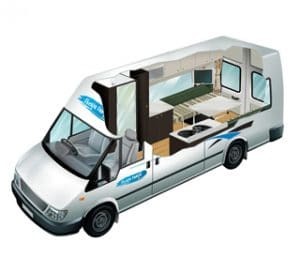 Depending on your level of comfort and your budget, you choose the size of the motorhome. 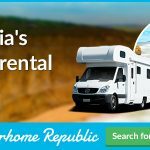 This comparison tool allows you to compare prices of different motorhome models in many countries of the world (Australia, New Zealand, United States, Canada etc. ).